Alice Bissett Place is a three-story building located in the community of Inglewood. It has 114 suites consisting of bachelor, one-bedroom, two-bedroom and three-bedroom townhouse units. 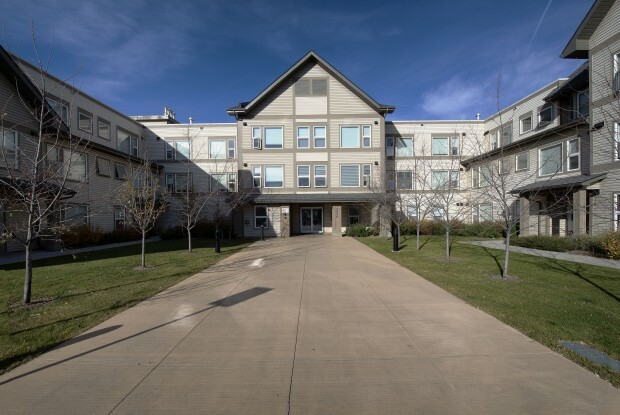 The building boasts energy efficient solar panels, beautifully landscaped exterior and 12 full accessible units. Development of Alice Bissett Place was completed in 2009, and came to be as a result of a joint venture partnership between the Calgary Home Builders Foundation, the Calgary Homeless Foundation and Horizon Housing Society. David Bissett, along with his wife Leslie, donated to the construction of the building, which is named after David Bissett’s Mother, Alice. In 2013, Alice Bissett Place was awarded Building of the Year (101+ units) by the Calgary Residential Rental Association (CRRA). Candidates were evaluated on several criteria including building upkeep and cleanliness, curb appeal, lighting, renovations and security.